Microsoft wants October to be its month, and has scheduled two different events to formally introduce three major new products: Windows 8, Windows Phone 8 and the Microsoft Surface tablets. The first event, to be held in New York, has been set for October 25, the day before the Windows 8 hits the shelves; where we’ll not only see a final demonstration of the desktop software, hear about the company’s new Surface tablets, and perhaps more on Xbox Music too. Rather than being the usual one or two hour presentation, Microsoft’s event runs from 10am to 3pm, and will include a “Microsoft Surface Reception.” Although we’ve already seen the Surface, there hasn’t been any mention of how much it will cost, so that’s likely to be one of the big stories of the day. There’s also a chance we’ll see other Surface tablets introduced, although not necessarily put on sale. 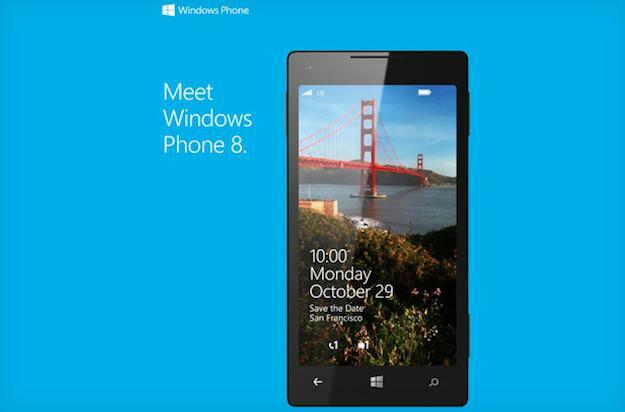 Once Windows 8 has been welcomed, Microsoft’s high and mighty will be jetting off to San Francisco to prepare for Windows Phone 8’s arrival at another event, this time planned for October 29. Windows Phone 8 was shown off back in June, and was followed by a flurry of hardware announcements from Nokia, HTC and Samsung. Except none provided a release date, probably because Microsoft hadn’t provided one for the software. The event invites us to “meet Windows Phone 8,” so we can expect that elusive final release date, even more details on the OS and its features, and hopefully, a date for the Windows Phone 7.8 update for existing Windows Phones too. Whether any hardware partners will be there to announce the street date of their products remains to be seen. As both Windows Phone 8 and Windows 8 have already been announced and thoroughly examined, it’s not too much of a stretch to expect a few surprises from Microsoft during these two events. What will they be? We’ll find out during the final week of October.